Your endocannabinoid system is key for establishing and maintaining health. Ever wonder why cannabis is proving to be effective for so many ailments? A big part of the reason is how the compounds in cannabis interact directly and indirectly with our body's endocannabinoid system (ECS). If you've never heard of it, the ECS is a major communication network in the body. In many ways, the ECS provides the signaling mechanisms that allow the body and the brain to coordinate with each other. Thanks to the help of the ECS, the body and the brain can synchronize in response to their environment. This system includes tiny signaling molecules called endocannabinoids, as well as the cell receptors with which they connect. These molecules and receptors are found in just about every organ in the body. They are also present on immune cells, guiding the body’s response to illness. 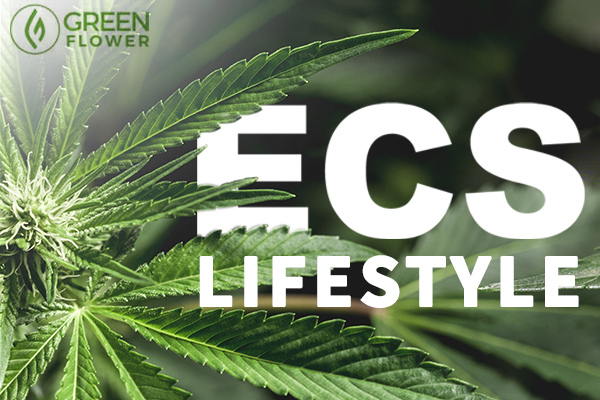 Your ECS helps balance everything from fertility to sensitivity to pain, inflammation, emotion, mental health, appetite, sleep, and so much more. When something goes wrong with your health, the ECS is one of the first places to target. Cannabis is capable of bolstering or restoring balance to the ECS because of how cannabinoids like THC and CBD mimic or supplement the endocannabinoids which the body is supposed to produce on its own. These naturally-occurring endocannabinoids in your ECS are called Anandamide and 2-Arachidonoylglycerol (2-AG). Cannabis can help supplement these in the same you would take vitamin D supplements for Vitamin D depletion, for example. However, cannabis isn't the only way to target your ECS. The body also produces these chemicals naturally from dietary sources. Both diet and lifestyle are major influences to overall endocannabinoid health. Be sure to also drink plenty of water! Have you ever wondered what causes the “runner’s high”? While for years feel-good endorphins were thought to be the culprit, evidence shows that exercise boosts the production of an endocannabinoid called anandamide. Anandamide, often referred to as “the bliss molecule”, is released after exercise and contributes to a mellow, perhaps slightly euphoric feeling post-exercise. Exercise and physical movement are the first and foremost ways to enhance the ECS. Those with sedentary lifestyles, such as office workers, students, and those with limited mobility, miss out on the opportunity to cultivate the production of endocannabinoids in the body. The U.S. Office of Disease Prevention and Health Promotion recommends at least two and a half hours of moderate physical activity per week. For those who struggle with chronic pain or have difficulty getting adequate exercise, cannabis may provide temporary relief. 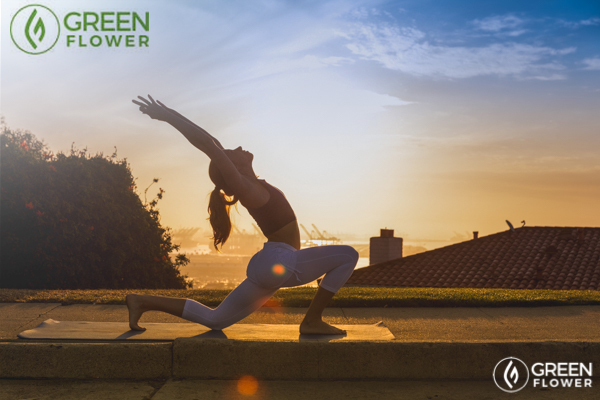 However, moving your body and staying active is essential for sustainable endocannabinoid health. Movement releases endocannabinoids, and diet is critical for manufacturing these important molecules. Endocannabinoids are products of fat, which means that eating healthy fats is vital for the health of the system as a whole. Polyunsaturated fats have been shown to be particularly beneficial for the ECS. Specifically, omega-3 and omega-6 essential fatty acids. In fact, research shows that intake of omega-3 fatty acids can increase the expression of cannabinoid receptors. Notably, the CB1 receptor. Greater receptor expression enhances the abilities of anandamide, which provides feelings of bliss and pain relief. The two primary endocannabinoids are derived from dietary omega-6 fatty acids. These fatty acids are found in poultry, eggs, whole grains, hemp, and seed oils. Those following a traditional Western diet typically have high intakes of omega-6 fatty acids. However, both omega-6 and omega-3 fatty acids need to be consumed in a fairly even ratio to benefit the ECS. To make sure the ratio between the two types of fat is as equal as possible, it is recommended to eat a diet rich in foods that contain healthy fats. Particularly those of the omega-3 variety. Food sources of omega-3 fatty acids include fish, shellfish, algae, flax, hemp, walnuts, and pasture-raised eggs. The omega-3s found in fish and algae are easier for the human body to metabolize than the forms found in nuts and seeds. Incorporating a wealth of herbs and spices into your foods provides excellent lifestyle support for the endocannabinoid system. Herbs and spices are among the most nutritionally dense foods around. A well-rounded diet in general is very important for your health. While it is certainly possible to use fresh cannabis as a way to add flavor and amp up the therapeutic potential of a meal, research shows that there are several different plants that engage the ECS. There is also some early evidence that some strains of bacteria can modulate the ECS. One such strain is Lactobacillus acidophilus, which may lend a hand in pain relief via the endocannabinoid system. This bacteria is commonly found in probiotic supplements. Eating prebiotic foods, which are foods that bacteria like to eat, is thought to encourage a healthy microbial community in the gut. Some of these foods include leeks, onions, garlic, and Jerusalem artichoke. Stress management is also crucial for a healthy lifestyle. 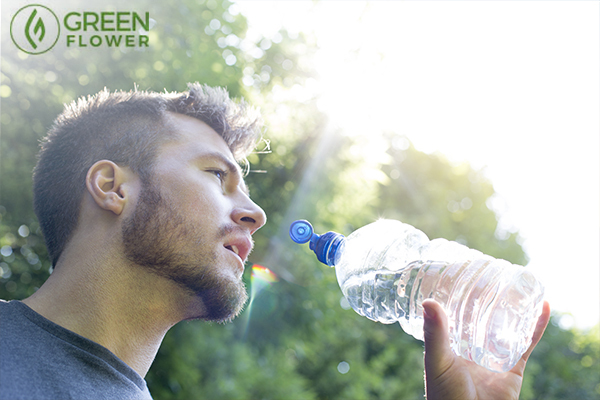 Exercise and food are the two primary ways to enhance your endocannabinoid system. However, in order to digest your food properly, it’s important to reduce negative stress. When the body is in a “fight or flight” mode, digestion and immune function slow down. 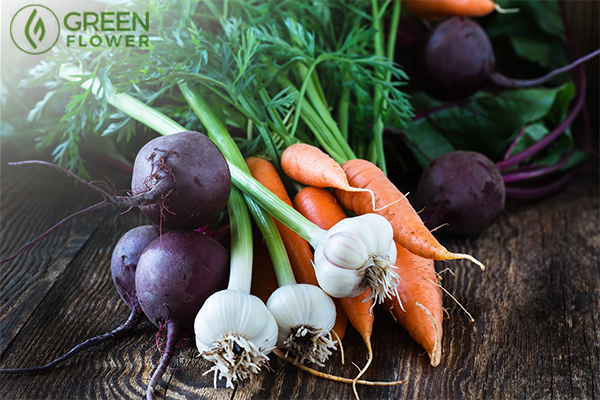 This means that not only are you less likely to fully process nutrients from food, but you’re more prone to infection which can throw the whole body off kilter. Whether you’re under the gun at work or are simply trying to manage the stress of having a chronic health condition, incorporating stress management techniques is vital for the health of the body in its entirety. The ECS is one more reason to get a good night’s rest. The ECS influences circadian rhythm, which is the body’s internal clock. 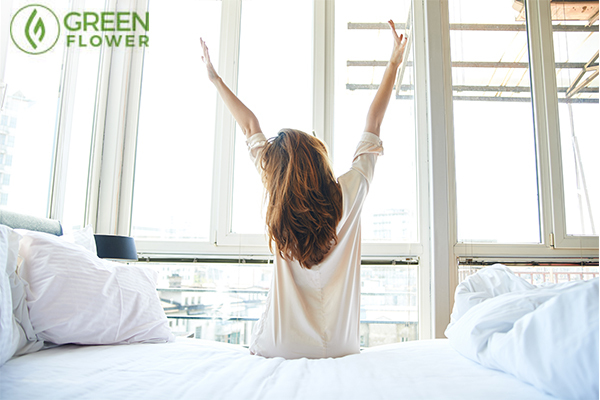 Research suggests that when you are sleep deprived, levels of the endocannabinoid 2-AG increase. In a 2016 study, 14 human participants got an average of four and a half hours of sleep per night over a four-day period. During this time, the participants’ levels of 2-AG increased. And so did their appetites. The participants ate an average of 20 percent more with sleep deprivation, which is about 400 extra calories. Normally, 2-AG peaks during mid-day and gradually lowers at it gets closer to bedtime. In the afternoon, this chemical helps signal that it’s time to wind down for dinner. However, without adequate sleep, levels of this endocannabinoid spiked higher than normal and stayed elevated for longer. In this study, researchers speculated that chronic sleep deprivation contributes to obesity via the endocannabinoid system. To avoid this problem, get some rest! The U.S. Centers for Disease Control recommends that adults get a minimum of seven hours of sleep per night. Those under the age of 18 and over the age of 60 need more, at least eight to 10 full hours. Would you like to learn more about the ECS?